Categories: Flowers, Medicinal plants. Tags: Nouveautés, Quebec Heirloom seeds. Lemonbalm (Melissa officinalis) is from the mint family and has an incredible reputation to soothe nerves and stress. Lemonbalm may be used during moment of stress, headaches, mild depression and helps you get a good night sleep taken in tea or tinctures. 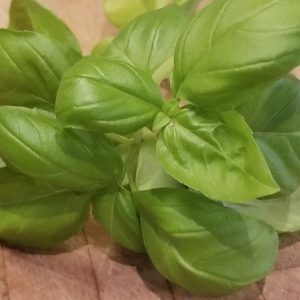 Basil is a tender plant, best known as a culinary herb prominently featured in Italian Cuisine, and also plays a major role in Southeast Asian cuisines of Indonesia, Thailand, Malaysia, Vietnam, Cambodia, Laos, and Taiwan. This California heirloom dates back to 1919 or 1926, there are some debates about this fact. They love heat and will bloom all summer long. 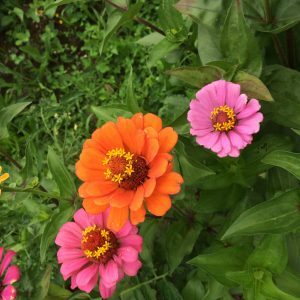 They bloom more when you cut them so go ahead, decorate your home with lovely zinnias.